Always on the move? 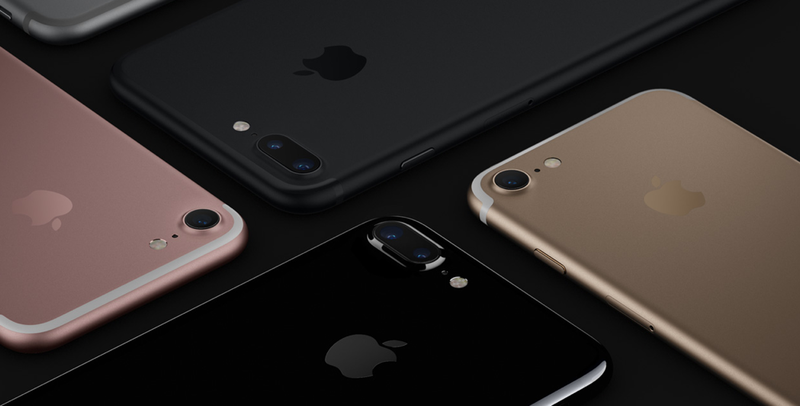 Then you might want to consider buying these great iPhone 7 and iPhone 7 Plus accessories. If you are a person who loves being outdoors, then your smartphone needs to keep up with your lifestyle one way or the other. You can do this by lacing your prized possession with the best value for money accessories. This may include a portable power pack, a screen protector, a case etc. But today, we are going to list down the absolute must-have for your iPhone 7 or iPhone 7 Plus, if you want your smartphone to run the extra mile with you. There are thousands of portable power packs out there that get the job done. They come in all sorts of shapes and sizes. But their key promise is the same: juice up a smartphone or tablet. Obviously, you just can’t go and pick any single power pack up just like that. If you are opting for a higher capacity one, you have to carry the extra weight. If it’s a smaller one, it won’t last you that long. You need something that’s the best of both worlds, and my top pick is Anker PowerCore+ 13400. As you can tell from its name, it has a capacity of 13,400mAh. That’s more than enough for a couple of days of juice, and you even have the option of charging two devices at once. 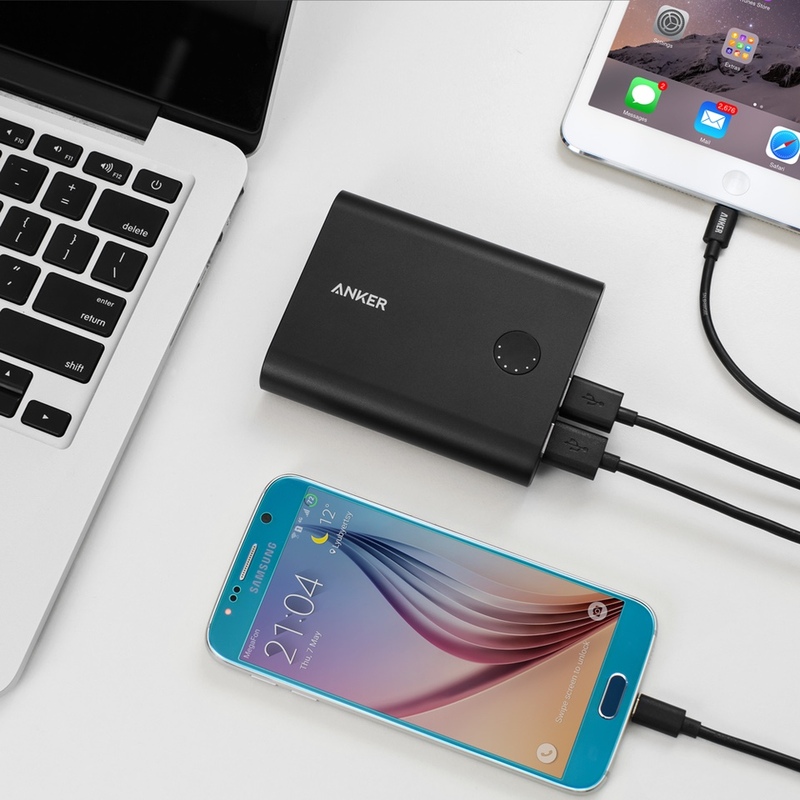 Those two ports pack in Anker’s PowerIQ tech as well, ensuring the fastest charge for your device. So yes, you can rest assured your iPhone 7 or iPhone 7 Plus will be juiced up way quicker compared to the stock 5W adapter. Furthermore, the Anker PowerCore+ 13400 has an extremely small footprint, so you don’t have to worry about it taking too much space. But the best thing about this power pack is the price. It will set you back just 40 bucks from Amazon. If you are interested, you can buy it from here. Cases are aplenty these days. Many companies make them. But finding the right case that will survive any type of situation is rare. In fact, even if you do find a case that’ll survive a menacing crash, it’ll be too bulky. Go too thin and you defeat the purpose of having a case on your iPhone 7 or iPhone 7 Plus. Also, a case shouldn’t hide your device completely either. After all, you paid top dollar for Apple’s smartphone, so why put a wrapper around it, right? Keeping all that in mind, the best iPhone 7 or iPhone 7 Plus case you can buy right now, in my opinion, is the Spigen Neo Hybrid Crystal. Apart from being just a case, it’s also a bumper for your device, which happens to come in five different colors so you can easily match it with your iPhone. And since it’s a ‘Crystal’ case, therefore everyone will see that you have a Jet Black iPhone 7 or iPhone 7 Plus with you. 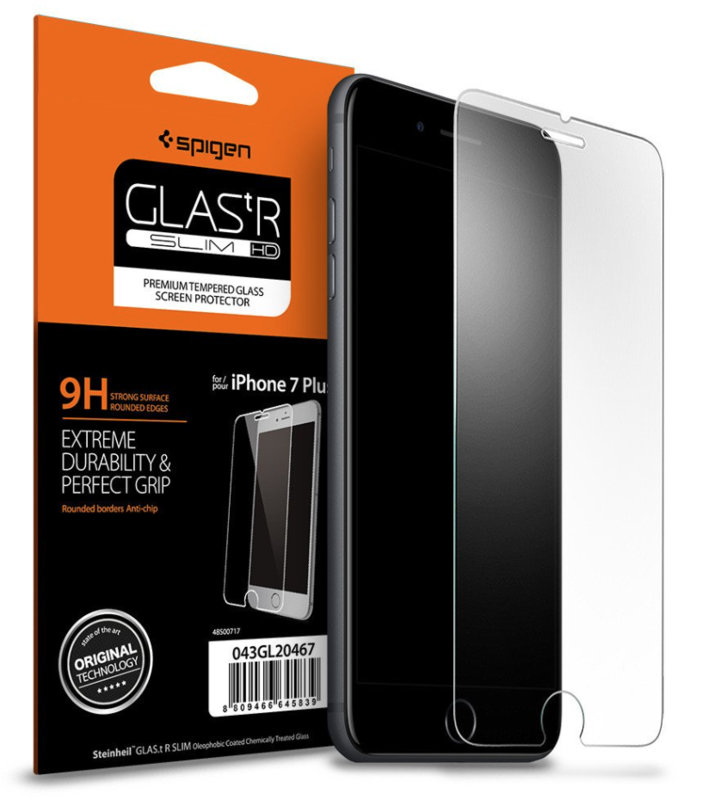 The Spigen Neo Hybrid crystal will set you back $34.99 for both iPhone 7 and iPhone 7 Plus. If you are interested in more details, then head over to this link for iPhone 7, and this link for iPhone 7 Plus. Whether you spend most of your time indoors or outdoors, that iPhone 7 or iPhone 7 Plus screen needs to be protected regardless. A little coin, key, dirt, etc. can wreak havoc on the display, making you wish you had some protection on your device in the first place. That protection is going to be in the form of a screen protector, and no, not every screen protector is created equal, sadly. Some of them may offer extreme protection while sacrificing brightness and vice versa. You need the best of both worlds, and Spigen’s GLAS.tR SLIM HD checks all the right boxes instantly. It even features rounded edges so that it feels comfortable during use. Things are topped off with the screen protector being case friendly as well. 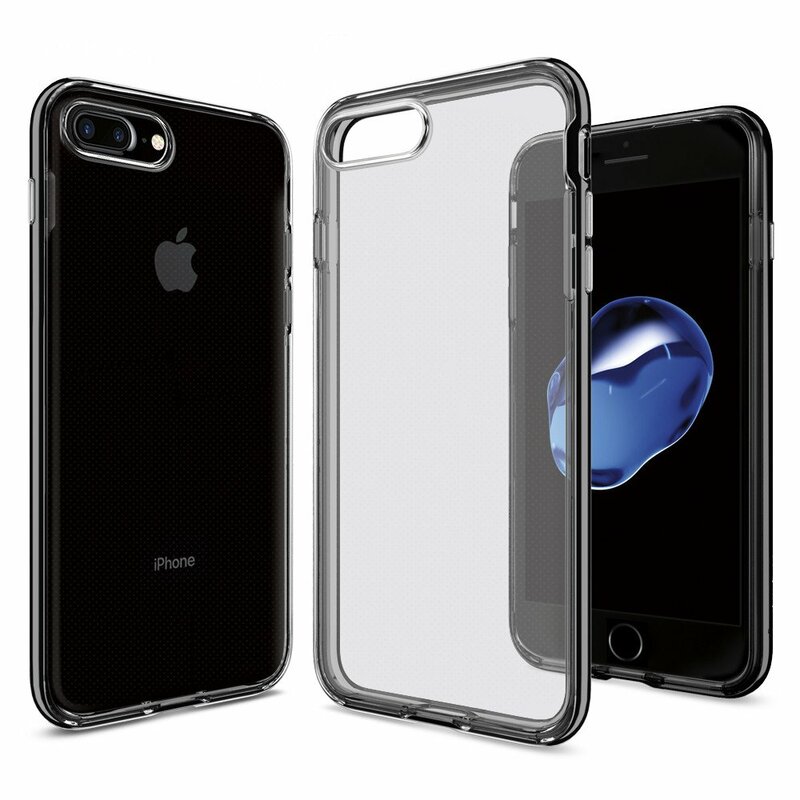 The protector will set you back 25 bucks for iPhone 7 and 30 for iPhone 7 Plus. You can find more details by heading over to this link and this link. However, if you are not content with this choice, then be sure to check out: List of Top Screen Protectors for iPhone 7 & iPhone 7 Plus. Apple’s own Lightning cable can’t survive a quarantined environment, so how will it survive the outdoors? That’s why you need something tough. Something out of the ordinary as well. It shouldn’t be too long making it a bad accessory to carry, and shouldn’t be too short either. 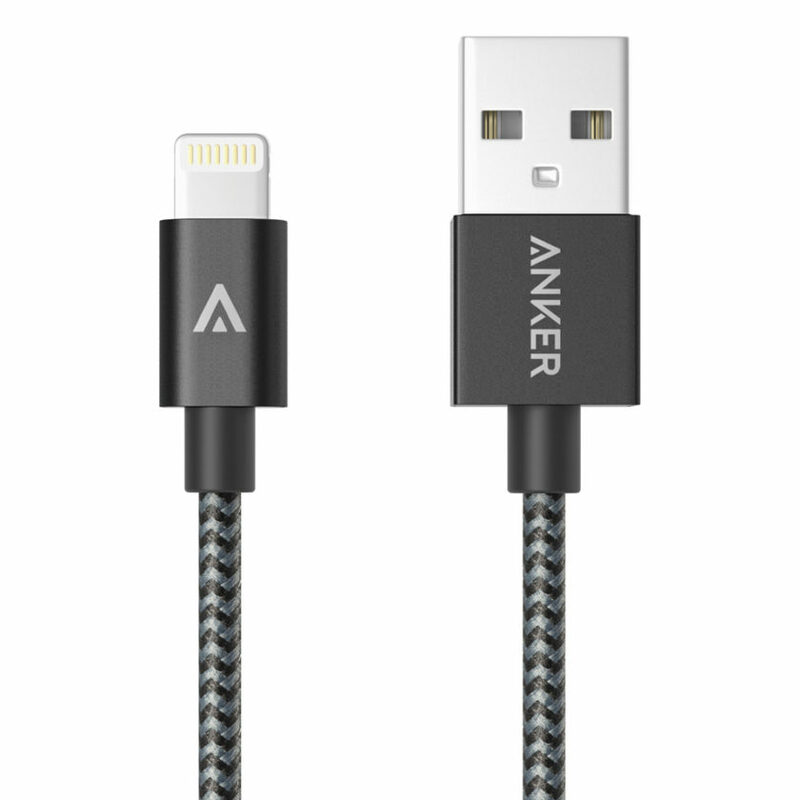 Therefore your instant weapon of choice should be Anker’s Nylon-Braided USB to Lightning Cable. Apart from the obvious toughness that is given away from its name (nylon) the cable is 3-feet in length, making it ideal to carry around. It even comes in four colors so you can match it with the tone of your iPhone. If you are interested in picking one up, you’ll be pleased to learn the cable will cost you just 11 bucks over at Amazon. That’s dirt cheap compared to what Apple is offering. And yes, this cable is MFi Certified, so you can rest assured it follows each and every single guideline laid down by Apple in terms of design and safety. The iPhone 7 and iPhone 7 Plus come packed with stereo speakers but they’re not enough to get the party going outdoor. You need something that’s loud, packs some bass, and of course, can handle the outdoor weather pretty well. Only one speaker checks those boxes, and that is the UE BOOM 2 Bluetooth waterproof speaker. The UE BOOM 2 features great design and throws out audio in all directions. It’s waterproof credentials make it the best speaker to take with you inside the pool as well. But all of this comes with a price of $199. A little too steep, I know, but just look at what the darn thing is packing. Find out more details by heading over to this link. Having a Bluetooth speaker is great and all, but sometimes you want to jump onboard the personal audio bandwagon. Only headphones can fill that void, that too Bluetooth ones since applied ‘courage’ to the iPhone 7 and iPhone 7 Plus. So the obvious choice for this list were the Audio Technica S700BT Bluetooth headphones. They sound great, pack 40mm drivers for intense sound topped off with 6 hours of battery life. 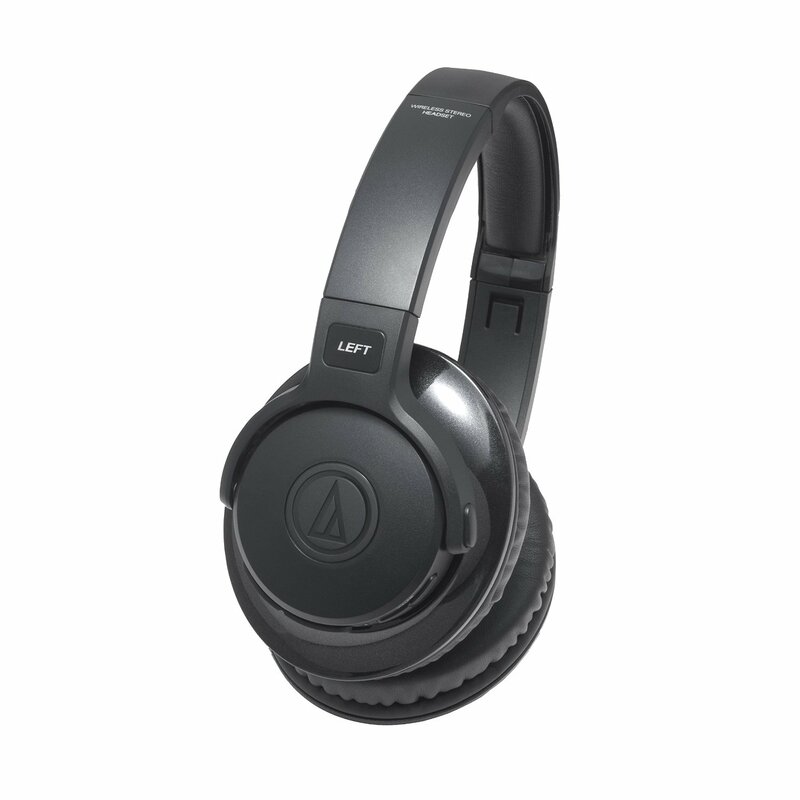 The headphones will set you back $129 from Amazon, and check buy them by heading over to this link. That wraps up our list. Be sure to let us know in the comments what you carry around when you are out and about.